Manipur (/ˈmʌnɪpʊər/ (About this sound listen)) is a state in Northeast India, with the city of Imphal as its capital. It is bounded by Nagaland to the north, Mizoram to the south, and Assam to the west; Burma (Myanmar) lies to its east. The state covers an area of 22,327 square kilometres (8,621 sq mi) and has a population of almost 3 million, including the Meitei, who are the majority group in the state, Kuki and Naga peoples, who speak a variety of Sino-Tibetan languages. Manipur has been at the crossroads of Asian economic and cultural exchange for more than 2,500 years. It has long connected the Indian subcontinent to Southeast Asia, enabling migration of people, cultures and religions. During the Raj, the Kingdom of Manipur was one of the princely states. Between 1917 and 1939, the people of Manipur pressed for their rights against British rule. By the late 1930s, the princely state of Manipur negotiated with the British administration its preference to be part of India, rather than Burma. These negotiations were cut short with the outbreak of World War II. On 21 September 1949, Maharaja Budhachandra signed a Treaty of Accession merging the kingdom into India. This merger has been disputed by groups in Manipur as having been completed without consensus and under duress. The dispute and differing visions for the future has resulted in a 50-year insurgency in the state for independence from India, as well as in repeated episodes of violence among ethnic groups in the state. From 2010 through 2013, the militant insurgency was responsible for the violent death of about 1 civilian per 100,000 people, each year. The world average annual death rate from intentional violence has been 7.9 per 100,000 people. The Meitei ethnic group, represents 53% of the population of Manipur state. 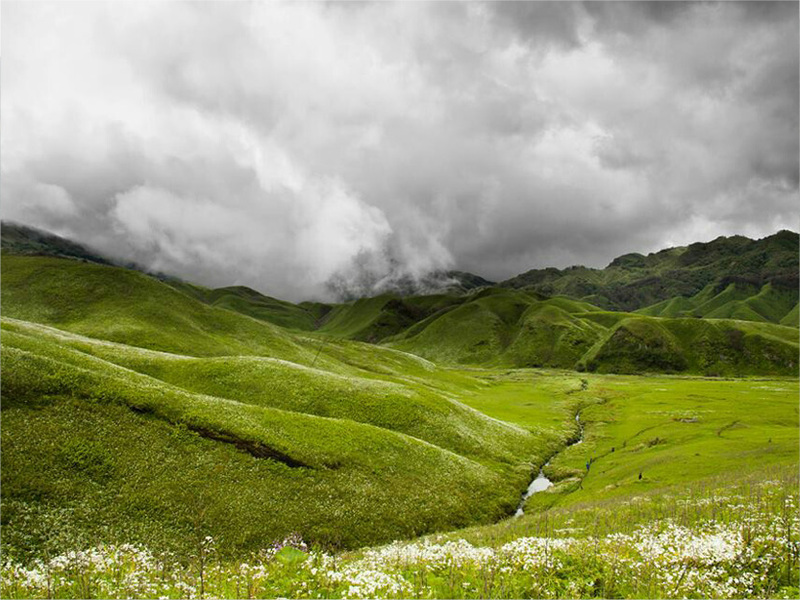 The main language of the state is Meitei (also known as Manipuri). Tribes constituting about 20% of the state population are distinguished by dialects and cultures that are often village-based. Manipur’s ethnic groups practice a variety of religions. According to 2011 census, Hinduism is the major religion in the state, closely followed by Christianity. Other religions include Islam, Sanamahism, Buddhism etc. Manipur has primarily an agrarian economy, with significant hydroelectric power generation potential. It is connected to other areas by daily flights through Imphal airport, the second largest in northeastern India. Manipur is home to many sports, the origin of Manipuri dance, and is credited with introducing polo to Europeans.